Genomes and Genome Research: Why Are Genomes Sequenced? Genomes are incredibly important to science. They are a kit of parts, a blueprint that governs how an organism is built. Knowledge of any particular genome can reveal how it works to create the life form. They tell us much about the structure and function of cells, tissues and organs. The Human Genome Project will give us a handle on the genetic disorders that cause so much misery. Bacterial and viral genomes will help scientists to find the chinks in the armour of these microscopic warriors that constantly invade our bodies. By comparing genomes we can learn much about evolution, but also we can find out which sections of DNA are conserved between species and which have functional significance. As technology improves and costs come down much more of Mother Nature will be sequenced and understood. Here's a tiny glimpse of some of the genomes that are already proving beneficial to science. Anopheles gambia – In 2002 the genome of the mosquito that spreads most cases of malaria was cracked. It opened up new research efforts into treatments. Arabidopsis thaliana – This weed was the first plant to be sequenced. It's a model organism, in that scientists will learn about how plants in general interact with the environment and how they deal with disease and pests. Drosophila melanogaster – A scientist's favourite fly. 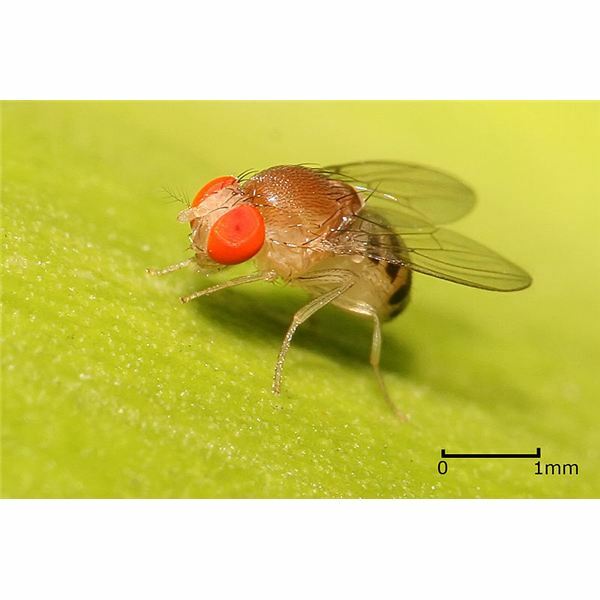 The fruit fly has been a tool for geneticists since the beginning of the 1900's. Escherichia coli – This bug is found in the intestines of many animals including humans. Largely harmless, but it can cause food poisoning. Homo sapiens – The Human Genome Project was completed in 2003. 3 billion DNA letters were sequenced. Mus musculus – Mice have been used by scientists for years. The tiny creatures have very similar genes to humans. Pan troglodytes – A chimp off the old block. Chimpanzees and humans have at least 98% of their genes in common. The remaining two percent may tell us much about how we diverged, as well providing explanations as to why chimps do not suffer from some human diseases like HIV. Vibrio cholerae – This pathogen has two chromosomes, twice the number of many other bugs. Once a genome has been sequenced, scientists then have to find out how it works; how a particular DNA sequence encodes a protein that then performs some action. In other words they need to know what the letters, the DNA bases that make up a gene, actually mean.